MEASURE YOUR ENTREPRENEURIAL COMPETENCIES level AND BUILD YOUR OWN ACTION PLAN. Solve a comprehensive diagnosis entering real-life scenarios where you will have to prove your entrepreneurial skills and mindsets. You will receive a personalized report with your entrepreneurial competencies level and you will create an action plan where you will be able to identify the milestones you need to overcome each step of your entrepreneurial journey. We are currently receiving applications for Entrepreneurial Simulator 2019 programs until February 22nd, 2019! A situational diagnosis where you will face 42 real-life scenarios that you will have to solve with your actual entrepreneurial knowledge. 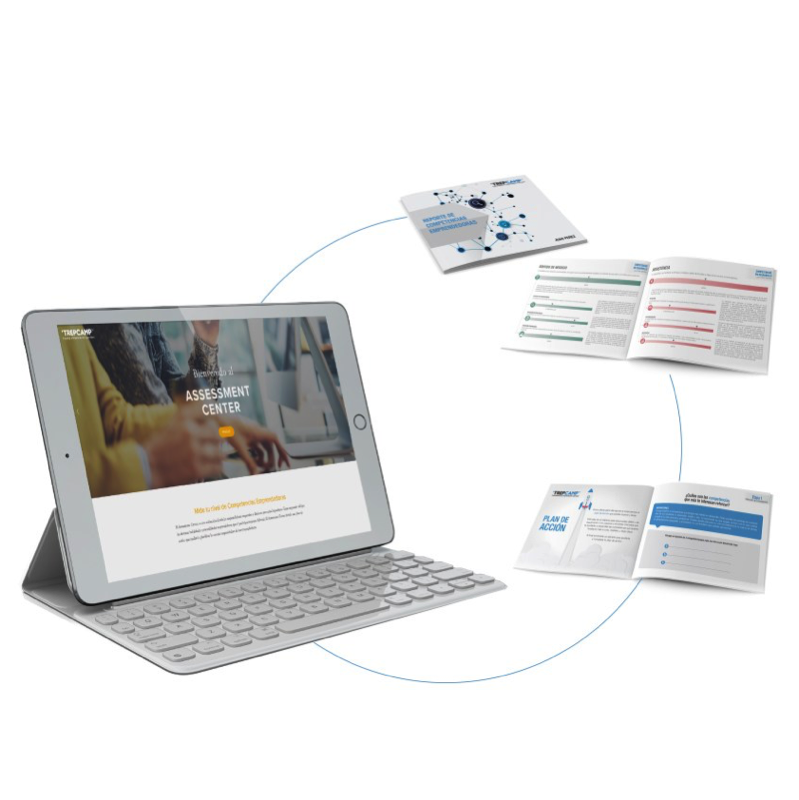 A personalized report of your entrepreneurial competencies, result of the diagnosis. Our mission is that you get to learn your level of entrepreneurial competencies so that you can build an action plan that helps you as a foundation for your entrepreneurial journey. ¿What will you learn at the program? You will solve a situational diagnosis of 42 real-life scenarios questions and you will need to prove your skills and entrepreneurial mindset. Thanks to that you will learn your strengths and weakness as well as the areas where you have an opportunity gap to grow. 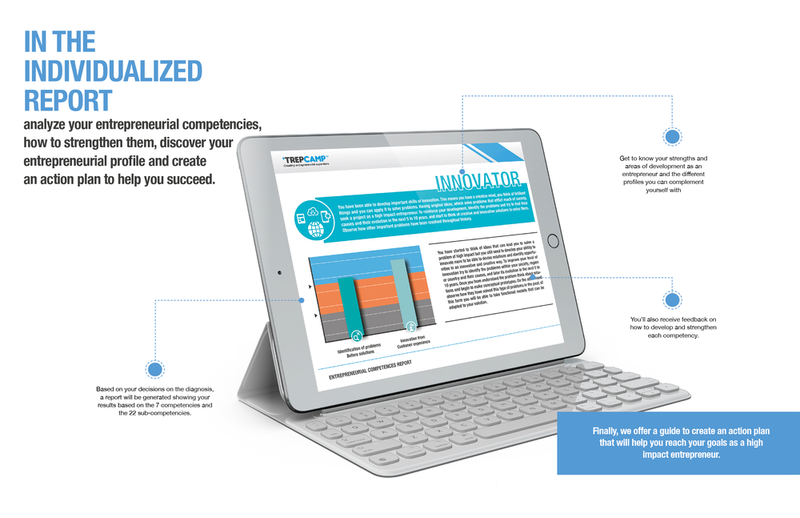 When you finish you will receive a personalized report with your competencies level and with feedback for you to develop an action plan that to identify the milestones you need to overcome each step of your entrepreneurial journey. 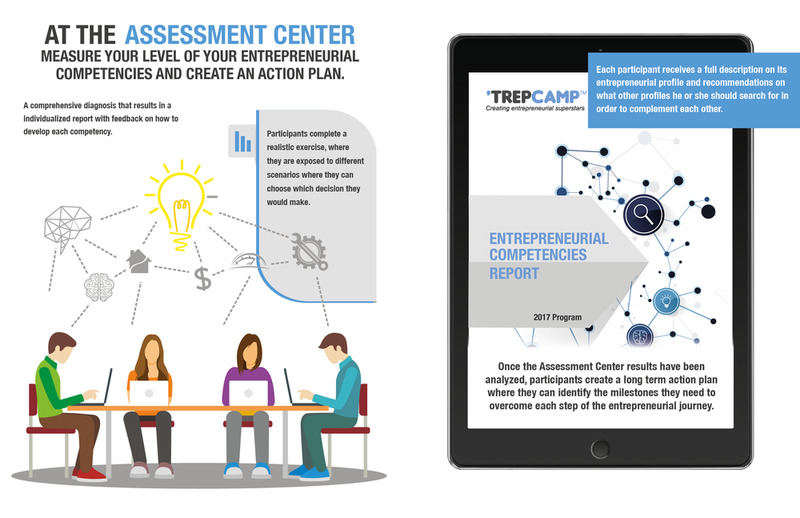 The Assessment Center will help you as a foundation to start your journey, you will walk your first step already knowing in detail your profile but also getting experts recommendations to exceed and improve yourself in all the areas needed to become a high impact entrepreneur. GET TO KNOW all the DETAILs!